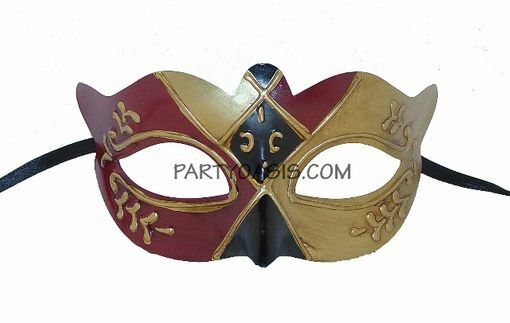 Made from a heavy duty plastic mold, hand painted great for a Mardi Gras themed event. Comes with ribbon ties. Can be worn.